WASHINGTON - The Catholic University of America women's soccer head coach JP Sousa announced the Cardinals' 2018 schedule Friday afternoon. The Cards begin their quest for another Landmark championship Friday, August 31, in a home match against York College at 4 p.m.
Catholic advanced to the Landmark Conference playoffs for the 6th time in the last 7 seasons in its 2017 campaign. The Cardinals reached the conference semifinal last year and look to recapture their first Landmark championship since 2015. "Everyone is excited for this 2018 season. I believe that our mix of regional opponents in non-conference games will prepare us for the challenges of the Landmark Conference," Sousa said. "Nothing comes easy in our league, and our team knows we have our work cut out for us to get back to the championship game." Catholic competes in the annual Mary Washington Classic tournament in Fredericksburg, Virginia in the second week of the season. The Cardinals take on Berry College (9/8) and Huntingdon College (9/9) in the tournament. Other nonconference away games include Stevenson (9/12), Eastern Mennonite (9/18), St. Mary's (Md.) (9/26) and McDaniel (10/16). The Cards will compete in home matches this season at the currently-being constructed turf complex, Carlini Field. The new stadium will play host to both the men's and women's soccer teams as well as the lacrosse programs. Catholic hosts Hood College on Wednesday, September 5, at 7 p.m. under the lights at Carlini Field. The Cardinals' other nonconference games at home include contests against Salisbury (9/16) and Frostburg State (10/3). Landmark Conference competition begins at home for the Cardinals as they take on defending Landmark champion Scranton on Saturday, September 22 at 4 p.m. 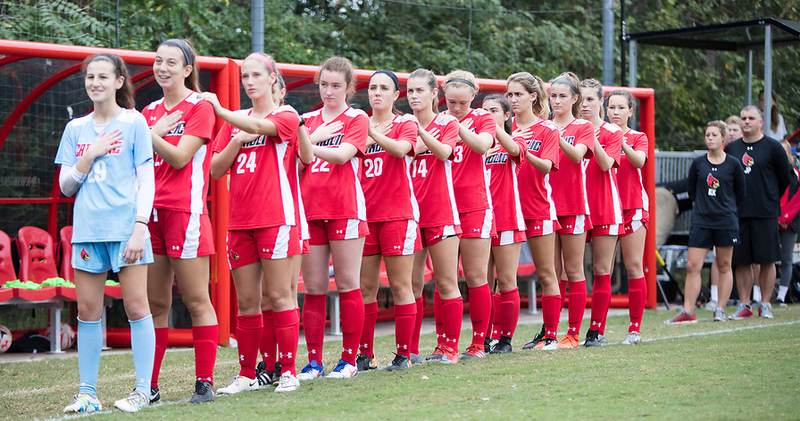 In their last regular season match of the season, the Cards host Elizabethtown on Saturday, October 27 at 4 p.m. The match features two of last year's conference semifinalist teams. The team travels to take on conference foe Susquehanna on Saturday, October 6 at 4 p.m. The contest is a rematch of last year's conference playoff semifinal matchup. Catholic also faces Goucher (10/10) and Moravian (10/20) on the road. The Landmark Conference playoffs are slated to kick off Tuesday, October 30, for the semifinal round, followed by the championship on Saturday, November 3.